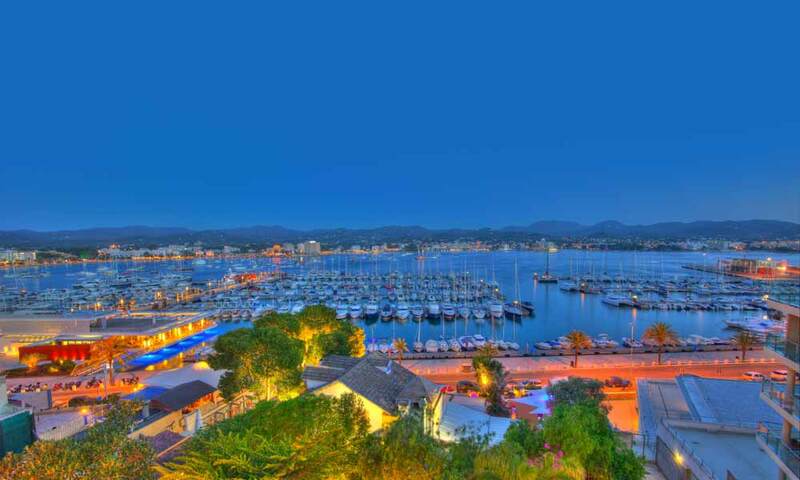 San Antonio Abad, or Sant Antoni de Portmany in Catalan, is one of the most popular spots in Ibiza. 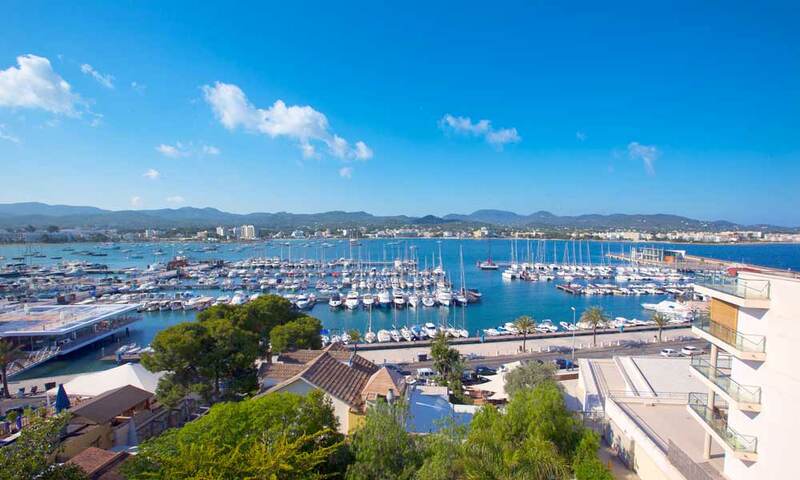 In the north of this vibrant island, on the namesake bay, the main attractions of this Balearic town are its lively nightlife, calm shallow waters, and a pleasant promenade lined with palm trees. 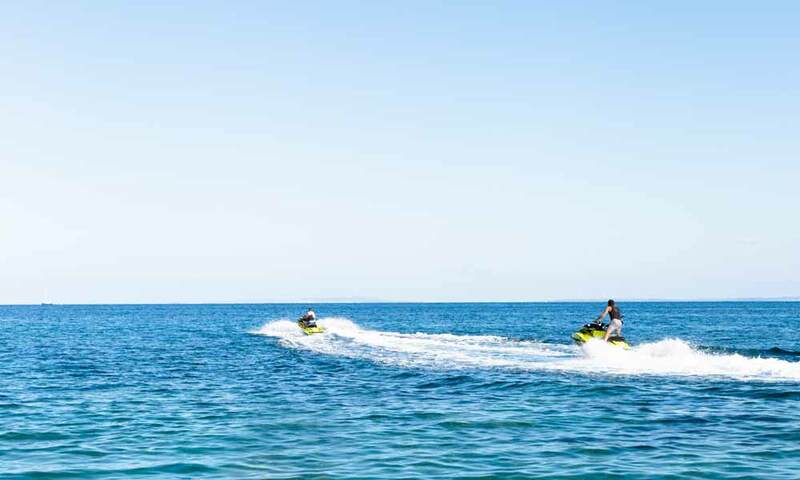 The town offers a wide and diverse range of leisure activities, and it boasts breathtaking sunsets and a natural harbour, the perfect starting point for trips around the island. Here are some of the best things to see and do in San Antonio Abad. The enchanting coves scattered along its winding coastline make Ibiza a true top destination. 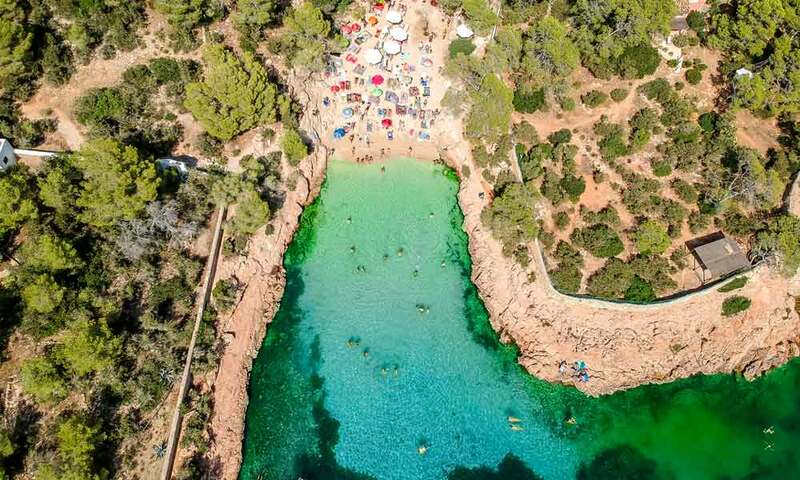 Cala Bassa, Cala Conta and Cala Salada are some of the island’s most beautiful coves, just a few kilometres from San Antonio. Spending a day on a boat exploring Ibiza, while marvelling at its clear blue waters, is a fantastic way of getting to know the island. If you prefer to row across Ibiza’s turquoise waters and discover more inaccessible places, a trip on a kayak is the perfect way to see unspoilt beaches and fascinating caves from a different perspective. 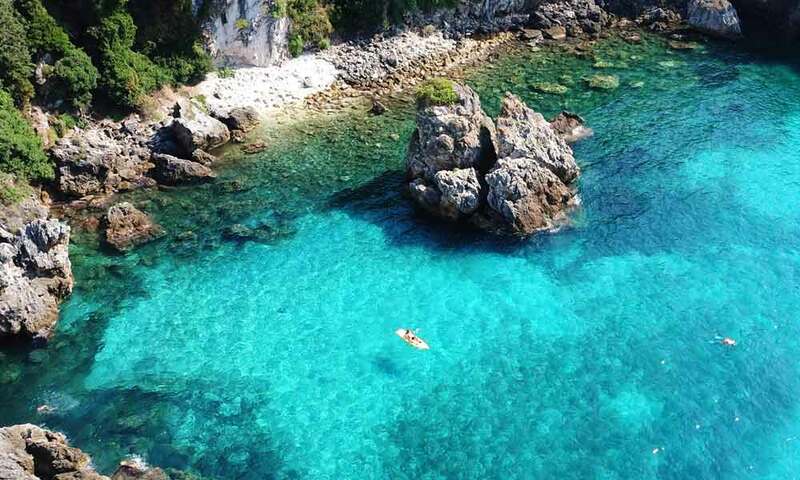 You will also have the chance to go snorkelling and explore the hidden depths of the island’s unique waters. There’s nothing quite like the rush you get from driving a PWC. If you want to do it on your own, remember you’ll need a boat licence, although you can also opt for a guided tour with an instructor. Whichever you choose, remember to have fun and be careful. Are you brave enough to make your debut in the underwater world? 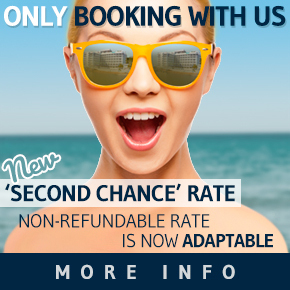 Ibiza might just be the perfect opportunity. The unbeatable natural beauty of its waters offer those who wish to give it a try many locations for doing their first dive and discovering the island’s underwater world. 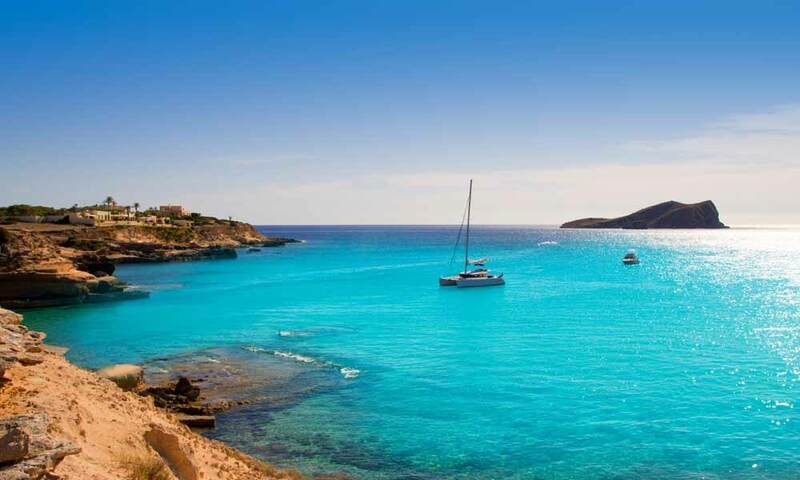 An outing on a catamaran is an excellent way of sailing around Ibiza or visiting the neighbouring island of Formentera. 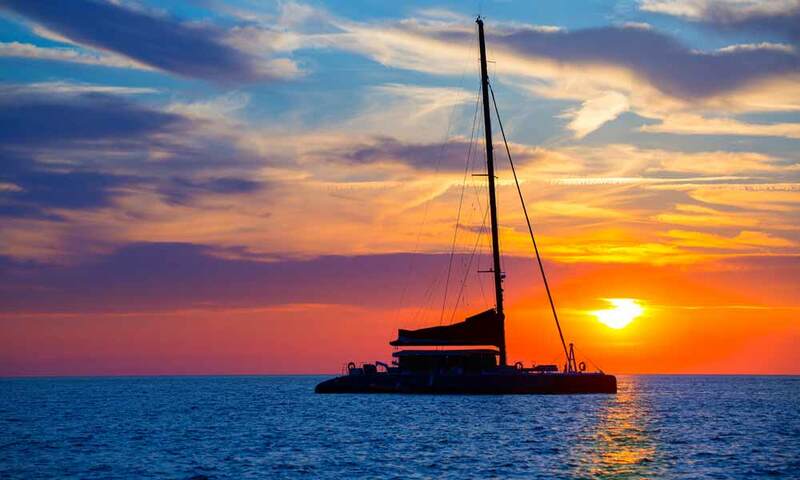 The size and shape of these boats make them the perfect place to spend a day enjoying a BBQ and taking in one of the island’s stunning sunsets, making your holiday extra special. 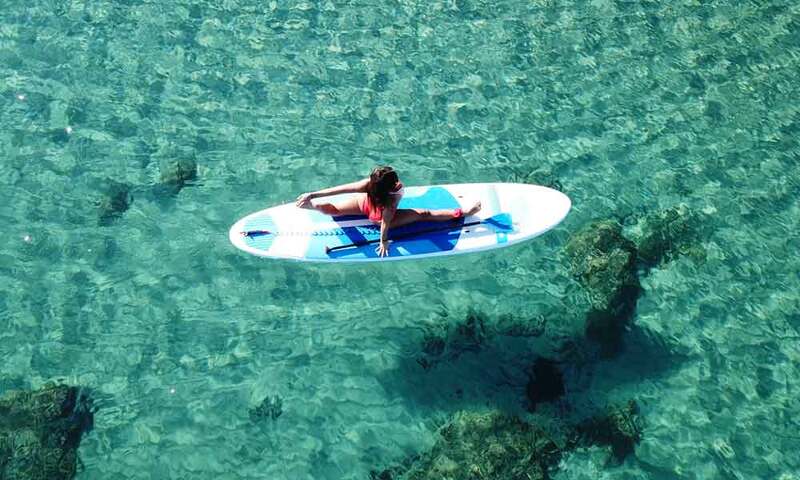 This kind of yoga is done on a stand-up paddle board in the sea, and it helps connect mind and body in a different setting. Whether first thing in the morning to fill yourself up with energy or in the evening while taking in one of the island’s sunsets, this is a truly unique wellness experience. The cosy and beautiful Cala Gracioneta cove is one of the closest to San Antonio. Its stunning turquoise waters only add to the breathtaking charm of the setting, sheltered by rocks and surrounded by pine trees. 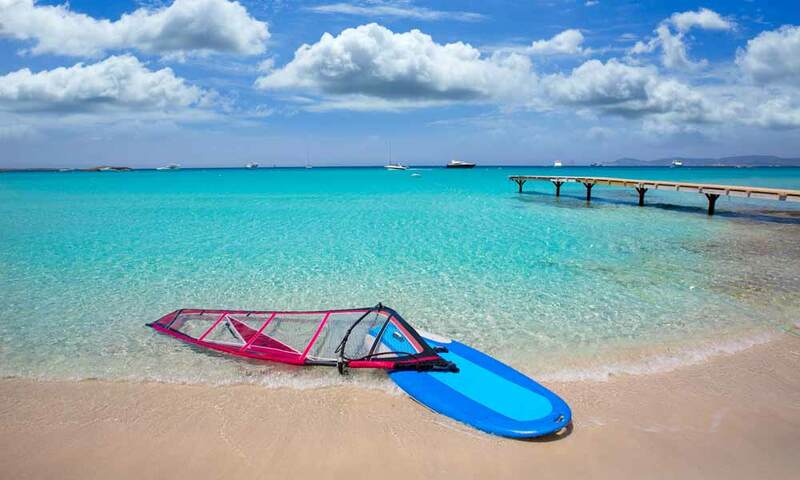 If you fancy the idea of taming the waves on a surfboard, there are surfing, windsurfing and kitesurfing beginners’ courses, that give you the chance to try out these fun water sports, which are sure to give you a massive adrenalin rush. 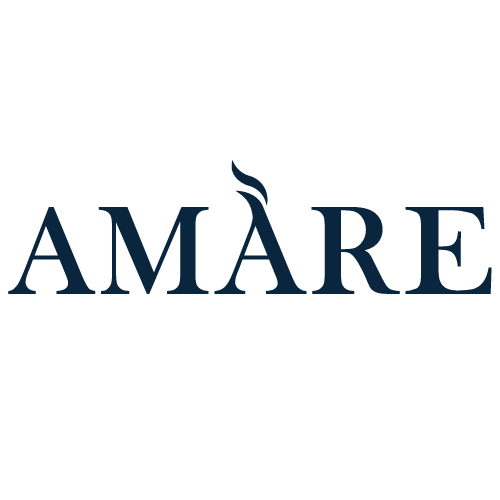 This is the ideal plan for those looking for fun at all costs in the company of friends, and a fantastic opportunity to meet new people. 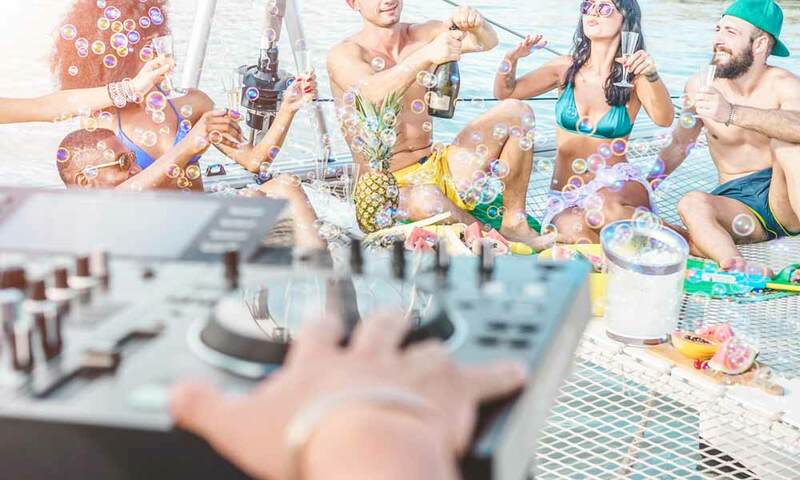 Drinks, live DJs, entry to a nightclub and unbeatable views of Ibiza from the sea, during the day or as the sun is going down. Work hard, party harder. 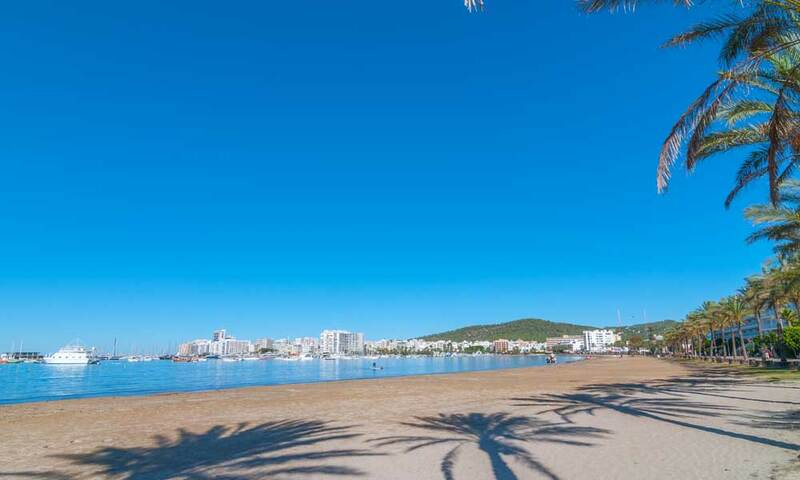 S’Arenal is one of Ibiza’s few urban beaches. Lively and bustling, its fine sand and shallow waters offer breathtaking views of the Mediterranean with the boats in the harbour in the distance. The promenade, with its palm trees, shops and bars, is perfect for going on a stroll as the sun is coming up or going down, which is when the colours of the island’s sky are even more stunning. 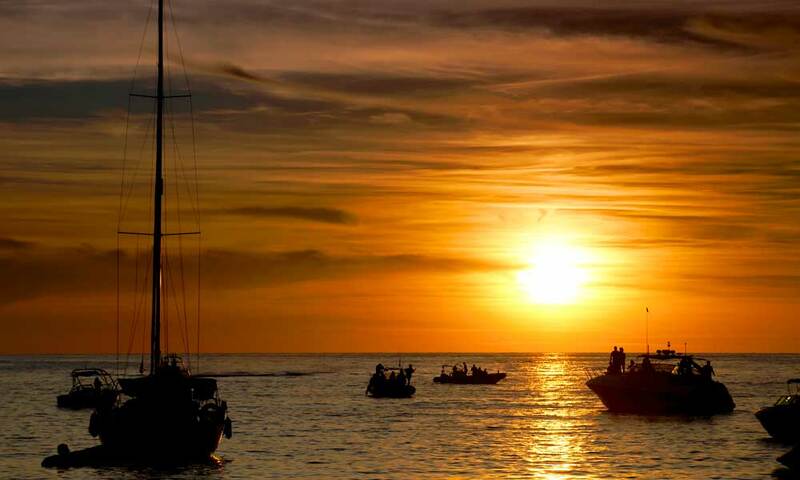 Café del Mar has become one of the most well-known places to enjoy Ibiza’s magical sunsets. Each day, dozens of people wait for the sunset while sipping on a cocktail in a sophisticated setting and listening to chill-out music in the background. Villa Mercedes is a unique converted villa where diners can sample Mediterranean fusion cuisine on an outdoor terrace which boasts gardens and views of the San Antonio harbour. What’s more, the restaurant puts on daily live musical performances. San Antonio has an attractive marina which is perfect for a stroll, browsing the nearby shops and restaurants, or even doing water sports such as stand up paddle surfing or scuba diving. 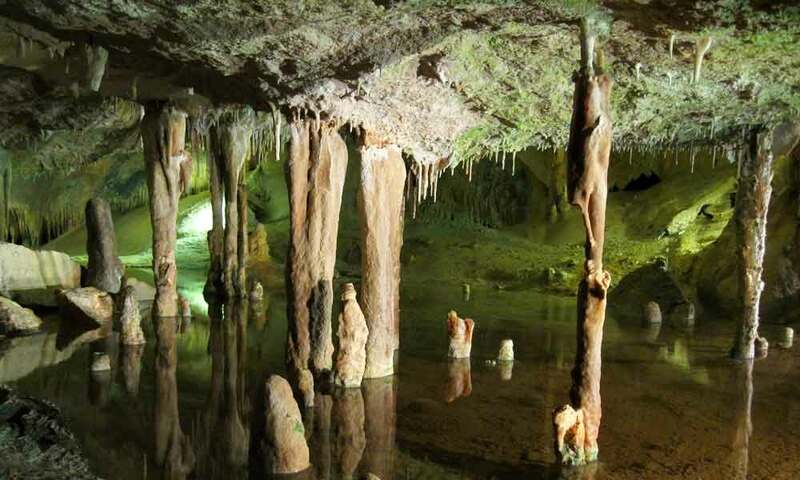 The Can Marçà cave, 25 kilometres from San Antonio, is one of Ibiza’s main tourist attractions. Visitors can go on a guided tour, which includes a light and sound show, and discover its hidden depths. The restaurant Sa Capella, on the outskirts of San Antonio, is a truly unique place to have dinner. 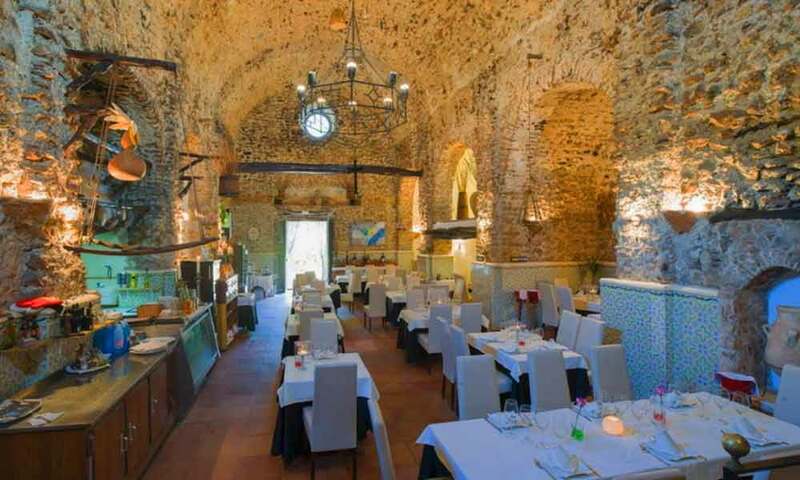 With a diverse menu, the stone walls of the former chapel of Saint Agnes, which dates back to the 18th century, offer an unforgettable dining experience. There’s more to San Antonio than the sea and beach. 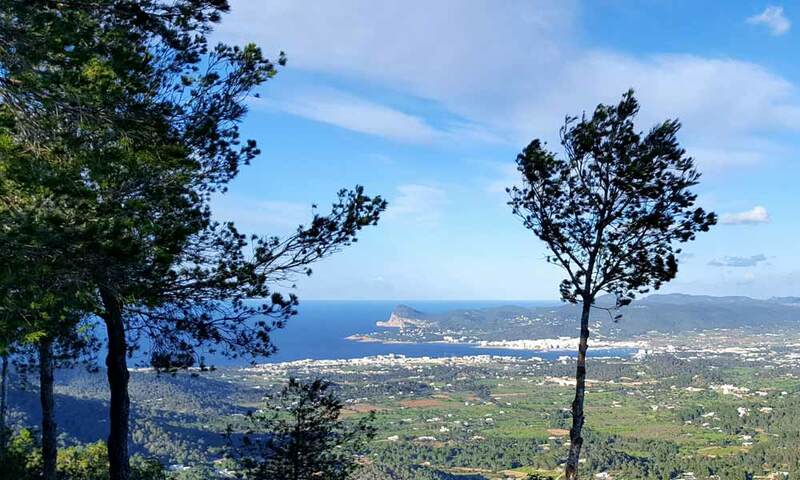 The area has various routes, such as San Antonio-Cala Salada or Sant Mateu-Torres d’en Lluc, which are ideal for those who enjoy hiking. Whether your adventure takes you along the coast or through countryside inland, spectacular views are guaranteed. Wine lovers have the chance to see how this thousand-year-old alcohol is made at vineyards near San Antonio. 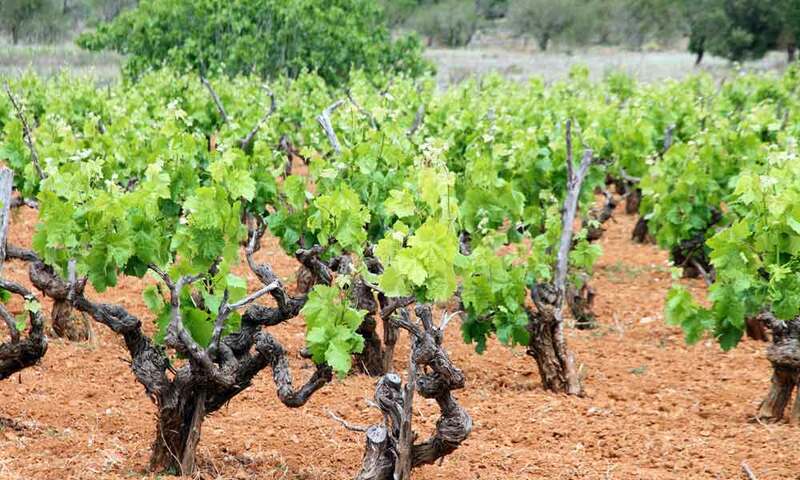 Some wineries offer guided tours, such as Sa Cova and Can Rich de Buscastell, where wine and tasting sessions of local produce are organised. 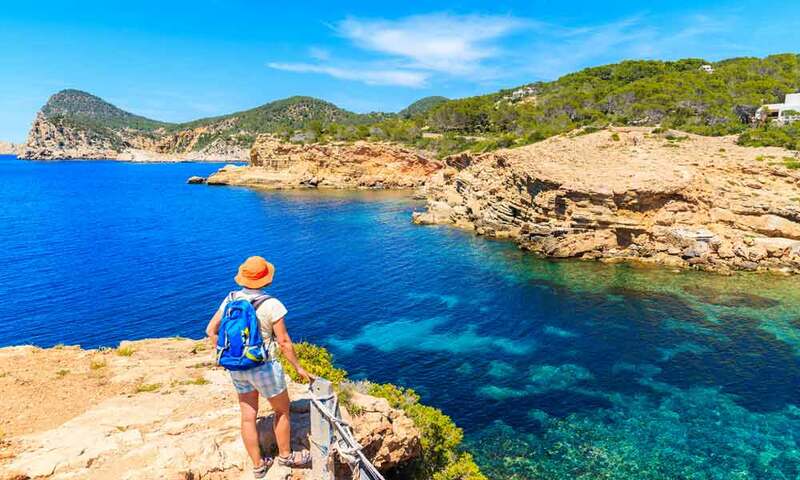 Very close to the town, in the bay of San Antonio, is Sa Punta des Molí, a historic and cultural settlement which is ideal for discovering Ibiza’s two-hundred-year-old secrets. 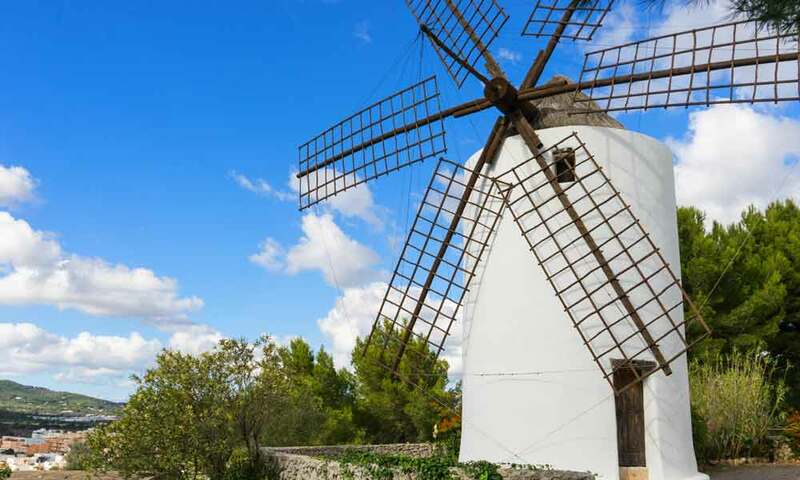 The Buenavista windmill, built in 1818, a waterwheel, an olive oil mill, and the house where the German philosopher Walter Benjamin lived are the main places of interest. 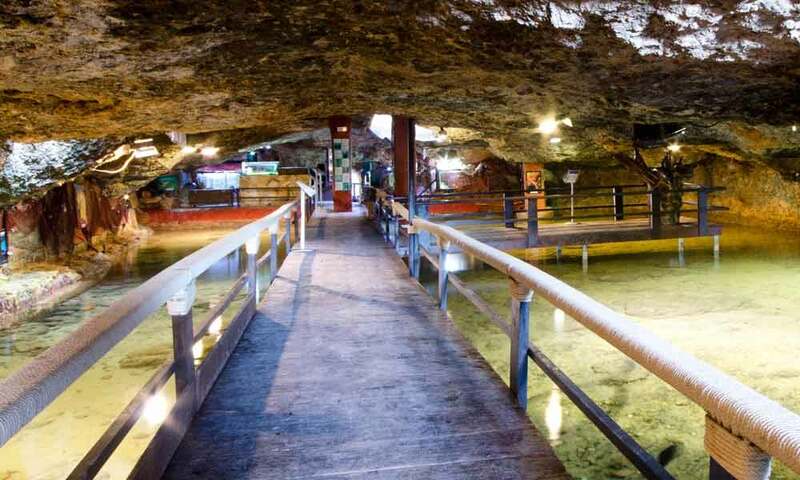 Just a five-minute drive from San Antonio is the Cap Blanc Aquarium, located inside a naturally-occurring cave, formerly used as a lobster farm. Here, visitors can discover all the main species present in the Mediterranean around Ibiza. 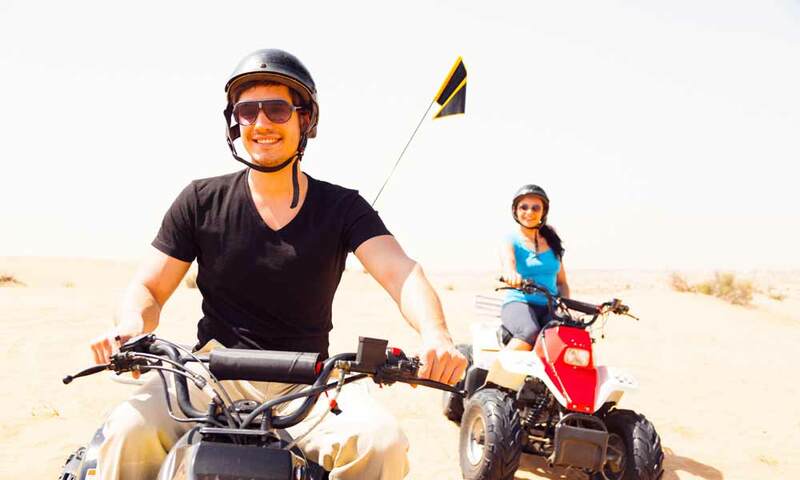 A different way of exploring Ibiza’s valleys is on a quad bike. Give in to your adventurous side and drive through pine forests, vineyards, almond trees and fig trees. The perfect way to release adrenalin. Too much for just one trip? 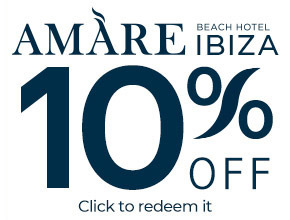 At the Amàre Beach Hotel Ibiza, we wouldn’t want you to miss out on anything this fabulous island has to offer, so come back and visit us as many times as you want.